The annual event celebrates the achievements of IFAs and Network Advisers who have demonstrated a proven commitment to the retention of protection business. 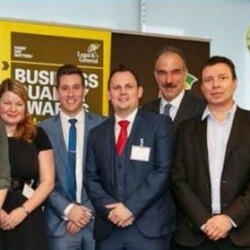 On Friday, Legal & General announced the winners of its 5th annual Business Quality Awards (BQAs). Launched in 2011, with Cardiff based Protection Specialist, Vita, winning a Special Recognition award. Winning a second Business Quality Award in three years is something we are really proud of and I’m delighted to accept this award for Vita and my colleagues. Vita has a broad remit within the personal protection sphere and works with many different clients on a wide range of protection needs, so to win special recognition for customer satisfaction and attention to detail is a fantastic achievement. We’re very much looking forward to what 2016 will bring and to working ever more closely with our clients and partners, such as Legal & General. To find out more about Vita, please visit: www.vita.co.uk or call 0800 988 3637 for a no obligation quotation.